Parenting is the hardest job nowadays. This is for many reasons. But one of these reasons is the use of phones and internet by the teens. Parents are always worried about what their children do on their Android devices when they are using the internet. 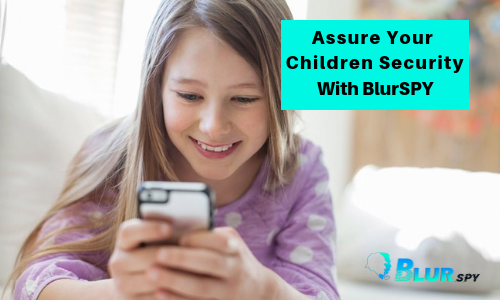 They can feel relaxed and put their suspicions to rest if they use BlurSPY Kids monitoring software, the best and ultimate parental control app for Android devices. What Makes BlurSPY So Special for Parental Control? You will see many other apps doing the same job but BlurSPY offers great features, simple interface and makes things simpler for the parents. We are going to talk about the best features of this app and how you can use these features for ideal parenting. Manage Calls: How to Use this Feature and What It Does? Managing calls is one of the best and top features of BlurSPY. With this feature, the parents have multiple options. This feature is really useful for the parents who are concerned about the android phone use of their teens. If they want to know what the children are up to on their calls, these options in the manage calls feature are going to help them. With Live Call Recorder, the parents can record all the incoming and outgoing calls on the device of their teens. Parents are sometimes busy and don’t have time to listen to the live calls. So they can just record every call and the recording will be uploaded on the control panel. Incoming Calls Restriction is another option provided in the manage calls feature. With this option, parents can blacklist or block any numbers so that they can’t call on the phone of their children anymore. Parents will feel better and more relaxed when they know they have blocked the stranger on their teen’s device. Track Text Messages: How Parents Can Check Text Messages? When it comes to communication and conversation, most of the people prefer text messages. So is the case with teens nowadays. They prefer text messages to calls. So how parents can track the text messages of their teens in order to check and make sure they are not talking to someone who can harm them. For this, the track text messages feature in BlurSPY lets parents view all sent as well as received text messages. The details of the messages include the number of the sender, receiver, time of every text message and others. Parents can also block certain numbers on the device of their teen to not get text messages if they find it suitable. After all, the protection of teens is more important than anything else so they should use this feature. How to Track Location with BlurSPY GPS Tracker? For parents, the activities of the children are sometimes a matter of great concern. Children don’t tell parents about their whereabouts when they are going out. Parents remain worried about the children and are in a state of confusion like where they will be, what they are doing and who they are with. BlurSPY makes things easier for the parents as it allows them to track the live GPS location of their children. There are even more options with the GPS tracking feature. Parents can even check the weekly location history of their children and the places they have been visiting. 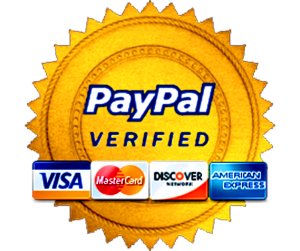 With this feature, you can also mark certain areas as safe. When the children enter and unwanted place or area, the app will alert the parents and inform them about the current location of their children. Another major concern of the parents is they do sexting and share intimate photos and personal images with their friends on social media sites. The dating and social sites have really helped teens find partners and even the young teens are dating nowadays. The multimedia on the android device of teens can also be monitored with Android spy software. The feature allows parents to check and view the images in the phone gallery. It will help parents understand what kind of visual content their teens have on their phones. Furthermore, the audio files can also be accessed with this feature. The parents can also spy on all voice recording of the device of their teens. These features really make parenting easier for anyone. Not all apps offer the feature of this kind. With BlurSPY, parents can make their monitoring even batter when they will be able to monitor the screen of their teen’s device. This feature is really helpful in order to keep eyes on the phone activities of the children. Furthermore, parents will also be able to see what kind of media, content, sites, and channels their children access on their Android devices. Kids monitoring app also allows tracking the browsing history of the phone. But it will be better when the parents will have access to the live screens of the target phone. All social media sites like Facebook, Twitter, Instagram, Tik Tok, Tinder, Tumblr, SnapChat, WhatsApp and other can be monitored with this feature. Have you ever thought you could have changed settings, take actions and monitor your children remotely on their phones? We hope, all parents wish to have features like this. Now they can do this with BlurSPY Parental control app. Remotely Monitoring is practically very helpful for the parents who want to monitor their children remotely. His stealth mode offers remote access to Android devices. Parents can take actions, activate features and do a lot of other things. They can also view all the installed apps, delete them and restrict access to apps.